The green algae included in this division was once classified in Chlorophyta as a class Charophyceae, but now raised to the status of division. The genera included in Charophyta are very much different from the members of Chlorophyta morphologically and in some other characteristics. The plant body is macroscopic and resembles those of Arthrophyta. The plant body is differentiated into nodes and internodes. The nodes bear whorls of branches of limited growth are present that resemble the leaves of angiospermic plants. 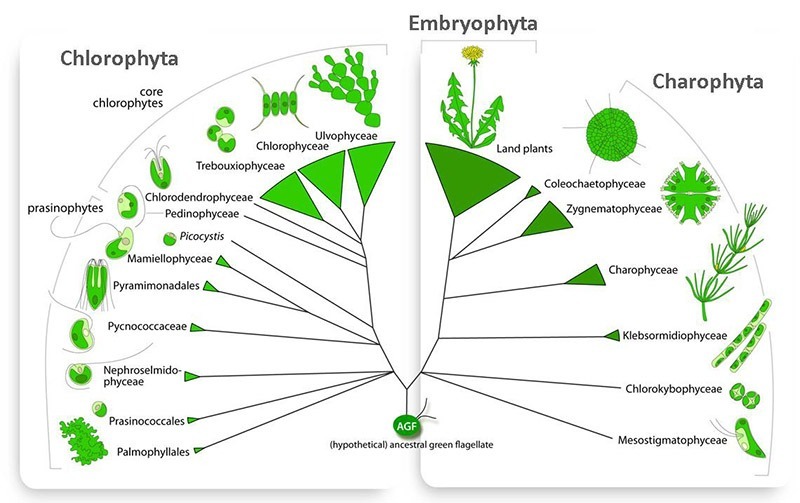 The development of plant body is from a single apical cell. The cells are prokaryotic, long, uninucleate, contain discoid chloroplasts, and are bounded by cellulosic cell wall. The protoplasm shows a rapid streaming movement parallel to the long axis of the cell. A prominent large central vacuole occupies the center of the internodal cells, therefore, the cytoplasm is peripheral. The nucleus occupies center of the cell. 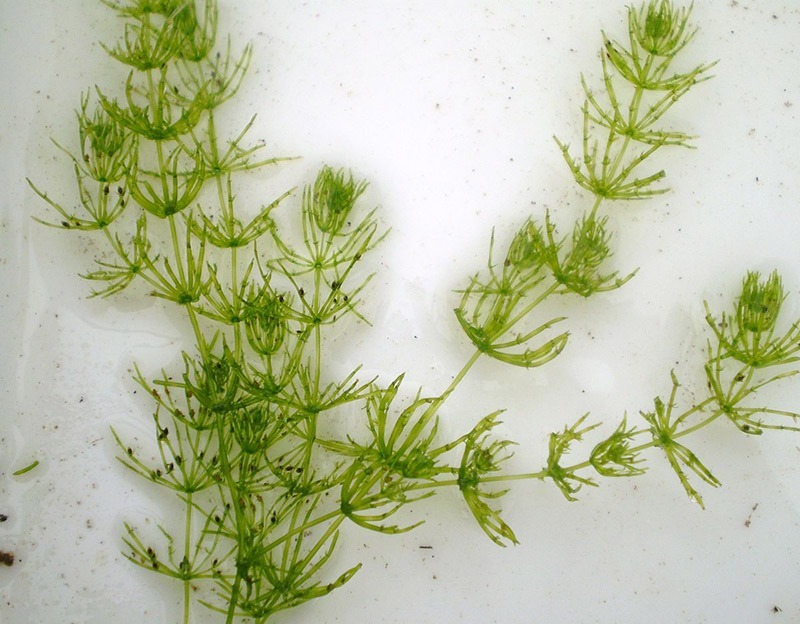 the reproduction in Charophyta is vegetative and sexual. The vegetative reproduction is by. Amylum Stars: These are star-shaped aggregates of cell developed from the lower nodes. They are densely filled with starch. Bulbils: These are bodies with food stored in them called that develop upon rhizoids. Protonema: The Protonema like outgrowths that develop from the nodes. The asexual reproduction by the formation of spores is absent. The sexual reproduction is strictly oogamous and the gametes are produced in specialized complex structures, the globules (antheridium) and nucules (oogonium). So far 7 living genera with about 294 species have been recorded. These are Chara (27 species), Tolypella (3 species), Nitella (37 species), Nitellopsis (a single species), Lychnothaminus (a single species), Lamprothamnium and Protochara.